Continue reading"Recognizing and Resolving Common Vitamin Deficiencies, by J.F. 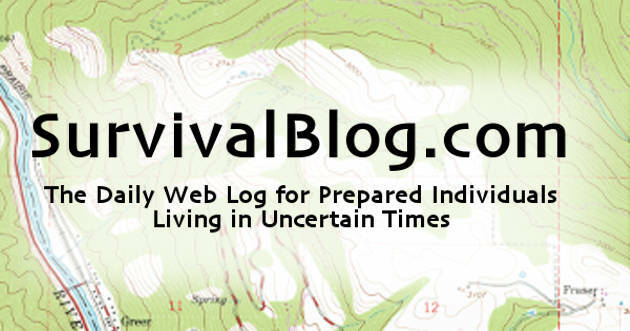 Texas"
Continue reading"The SurvivalBlog Writing Contest"
Round 72 Non-Fiction Writing Contest Winners Announced! Continue reading"Round 72 Non-Fiction Writing Contest Winners Announced!"